In conveyor painting plant, each part moves through the manufacturing process at the same rate. If graphed, conveyor painting would be a straight line moving from start to finish. There is no wait time or down time because progress is happening constantly. Conveyor painting is well-suited for manufacturers with a large volume of parts, as they do not be required to manually move the parts into the next phase of the finishing process. However, it is important to note that the continuous flow of a conveyor system is not suited for lines containing parts of different size & shape. Typically small conveyor painting plant is designed with Autocoat Dry Back Paint Booth, Flash Off Enclosure , Accelerated Drying Oven with conveyor speed ranging from 0.3mtrs per minute to 1 mtr. 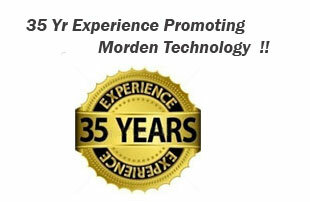 Per minute for economical pricing. If you wish to expand your paint shop and space is a problem, it will be interesting to investigate to go for conveyor painting plant installation. Another reason can be to introduce Accelerated Drying instead of Air Drying for space saving, consistent quality even during monsoon, better productivity. Autocoat Engineering is the most experienced Small Conveyor Painting Plant Manufacturer in India Spray booth Manufacturer since last 35 years in India. 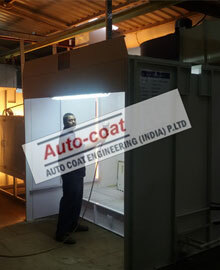 Autocoat Engineering have been manufacturing superior quality Spray booth among other valuable products .We have wide experience of manufacturing PAINT BOOTH with different material handling and different product size , and different production volume.